Carma Lee Carter, 72, passed from this life on Friday, November 9, 2018. A memorial service will be held at 2:00 p.m. on Friday, November 16, 2018 at the Strode Funeral Home Chapel in Stillwater, Oklahoma. Carma was born in Concho, Oklahoma to Glenn Bolling and Leah Flying Out on January 1, 1946. Carma and Cordell Henry had two daughters together, Cherry Dee Henry and Tonya Kay Henry. Later, she moved to Stillwater where she met and married Douglas W. Carter, they had three daughters, Jackie Louise Carter, Darlene Carter, and Carlee Ann Carter. Carma attended Indian Meridian Vocational School of Practical Nursing in Stillwater, Oklahoma. Where she graduated on May 29, 1981 and received her LPN. She worked in the nursing field for many years in Pawnee, Stillwater, and Tulsa. Carma is survived by 14 grandchildren, more than 20 great-grandchildren, and many family members who will forever carry her in their memories. 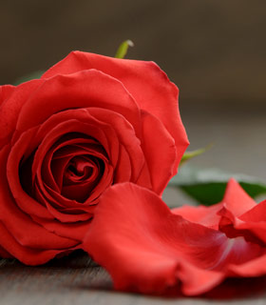 To send flowers to the family of Carma Lee Carter, please visit our Heartfelt Sympathies Store. We encourage you to share any memorable photos or stories about Carma. All tributes placed on and purchased through this memorial website will remain on in perpetuity for future generations.